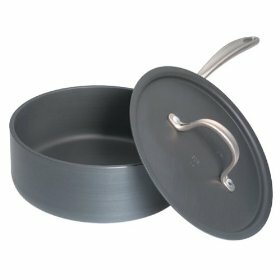 Amazon is offering up a very sweet deal on a Saucepan! Currently, you can get a Calphalon Commercial Hard-Anodized 2-1/2-Quart Shallow Saucepan with Lid for just $29.99, down from $119. Plus, this item ships FREE with Super Saver shipping or Amazon prime! What a steal!